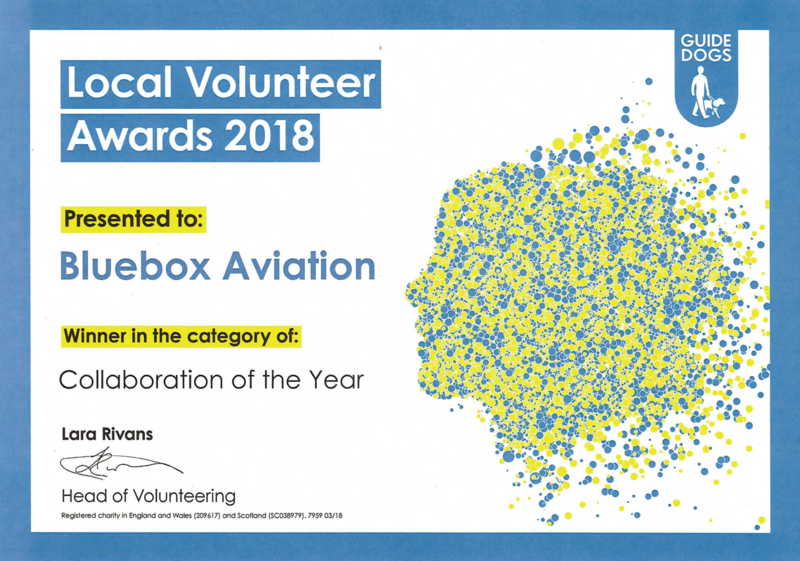 The UK charity Guide Dogs has honoured Bluebox and Virgin Atlantic with special awards for their collaboration in developing Bluebox aIFE – an accessible IFE platform for passengers with visual impairment. The “Collaboration of the Year” award is part of the charity’s Local Volunteer Awards, and is awarded for commitment to working with Guide Dogs to empower people living with sight loss. 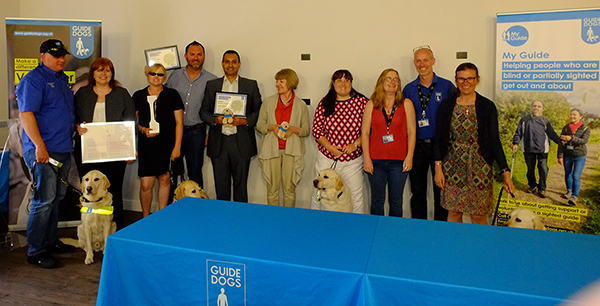 Simon Cope, of Guide Dogs’ Maidstone Mobility Team, presented this year’s award to Bluebox and Virgin Atlantic, along with the seven volunteers from Guide Dogs who contributed to the development of the platform. “You’d think collaboration with target end users of a product you’re developing would be a given, and we certainly didn’t expect a special award for doing so. 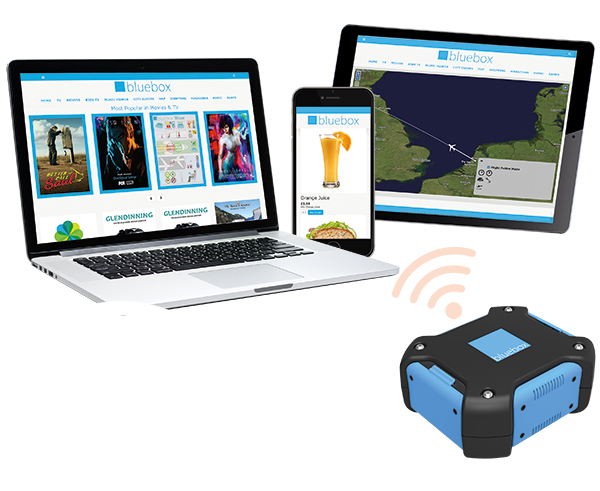 Then again, this collaboration delivered so much more than a new IFE platform,” said Catherine Brown, Head of Marketing at Bluebox. Virgin Atlantic deployed Bluebox aIFE on 1 December 2017, offering it to passengers with visual impairments aboard flights serving destinations across North America, the Caribbean, Africa, China, India and the Middle East. Doing so made Virgin Atlantic the first global airline to make IFE accessible for passengers with sight loss across its entire fleet. And in April 2018, Bluebox aIFE won a 2018 Crystal Cabin Award. The Crystal Cabin Awards recognise the best aircraft cabin innovations from aviation industry manufacturers, independent designers, and university students, and are awarded each year in Hamburg during the Aircraft Interiors Expo. 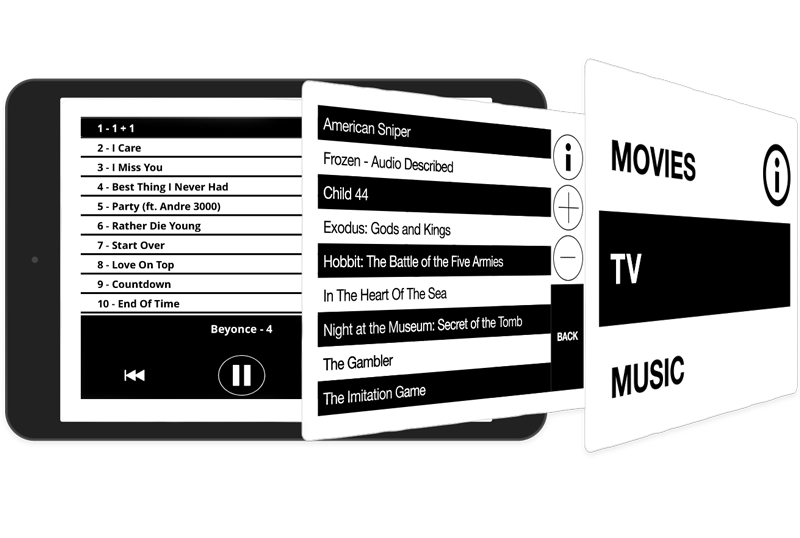 Often called the ‘Oscars’ of the aircraft interiors industry, it is incredible recognition for both the innovation and the value of the solution as a cost-effective way to rapidly deploy accessible IFE for passengers with visual impairment. At the Guide Dogs Volunteers awards ceremony, Catherine thanked the members of the user group on behalf of Bluebox and spoke about the global awareness for accessibility generated by both Virgin Atlantic’s launch of Bluebox aIFE and the Crystal Cabin Award win. Relating some feedback from Virgin Atlantic passengers and examples of individuals imploring other airlines to do what Virgin Atlantic has done for visually impaired passengers, Catherine said, “I hope you feel so proud of your role in helping make that happen and improving the passenger experience for people with sight loss around the world.” Catherine also presented Guide Dogs with their own copy of the Crystal Cabin Award certificate along with a version in Braille, and brought along the Crystal Cabin Award statuette so that the user group members could get their hands on the prize they helped win for Bluebox aIFE. Photo of the Bluebox aIFE collaboration team (from left): Paul Smith, Guide Dog Owner and Volunteer, Guide Dogs; Pedro, media darling and Paul’s guide dog; Catherine Brown, Head of Marketing, Bluebox; Lexi Griffiths Rayson, Guide Dog Owner and volunteer, with her guide dog Lilly; Steve J. Pollard, Executive – Inflight Services Delivery, Virgin Atlantic; Raj Dhamu, Account Manager, Bluebox; Geraldine Lundy, Passenger Accessibility Manager, Virgin Atlantic; Laura Drew, Guide Dog Owner and volunteer, with her guide dog Atlas; Nadine Jackson, volunteer, Guide Dogs; Simon Cope, My Guide Ambassador, Guide Dogs; and Kate Bosley, Guide Dog Owner and volunteer, with her guide dog Phoenix. Missing from the photo are, from Bluebox, Steven Grindlay, James Macrae and David Brown; from Guide Dogs, user group members Sue Eyles and Mick Etheridge.